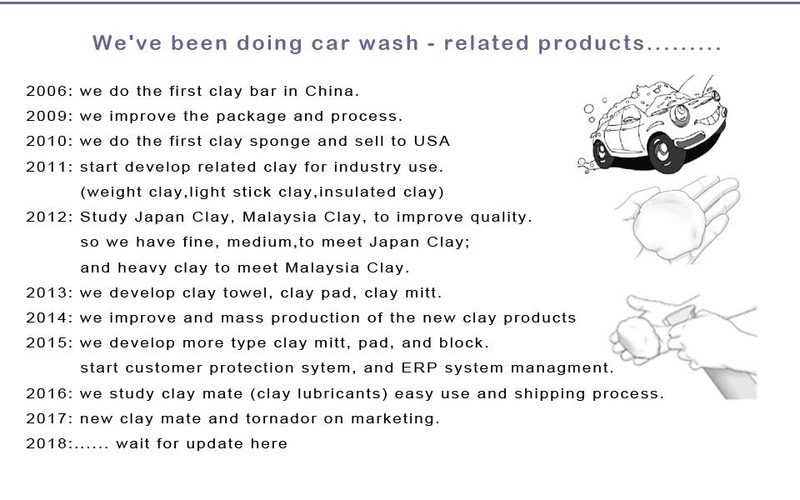 Brilliatech have been collecting all kinds of car washing clay bars! from customer favours and request. some customer like to do unique shape, color or package. some customer have hard, soft,or cleaning power. BrilliaTech (a short for Brilliance Technology) registered in Hong Kong; also have a office in Shen Zhen; and Factory in Dong Guan City; it is very convenient by air, land in transportation and sea; Hong Kong center to DongGuan office about 1H 30 minutes by train CRH; ShenZhen office to DongGuan Factory about 30 minutes by train or car; welcome to visit our office and factory. Brilliatech is your partner, your product development engineer, also your factory. What product and service of BrilliaTech? HongKong: UNIT 04, 7/F, BRIGHT WAY TOWER, NO. 33 MONG KOK ROAD, KOWLOON, HONGKONG. Address: 28# TianMei Road,ShiXia, DaLang Town, DongGuan City, 523792 China. Flower Feng (Marketing Dep. Manager) or Lulu Jiang (Coordinator): for sale and marketing Dep.